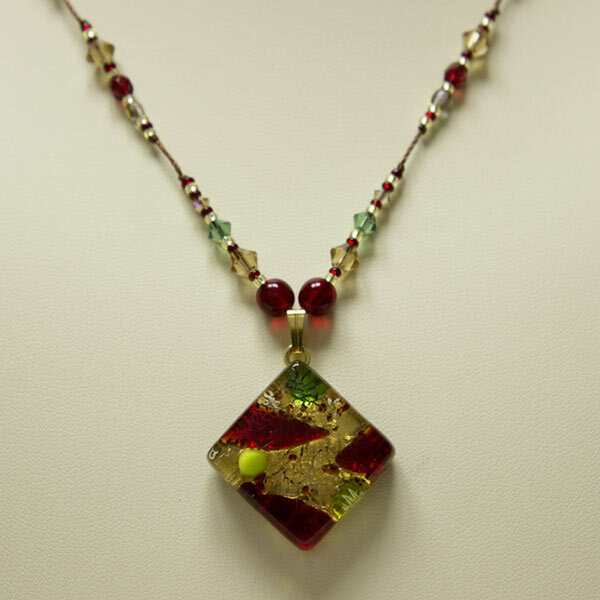 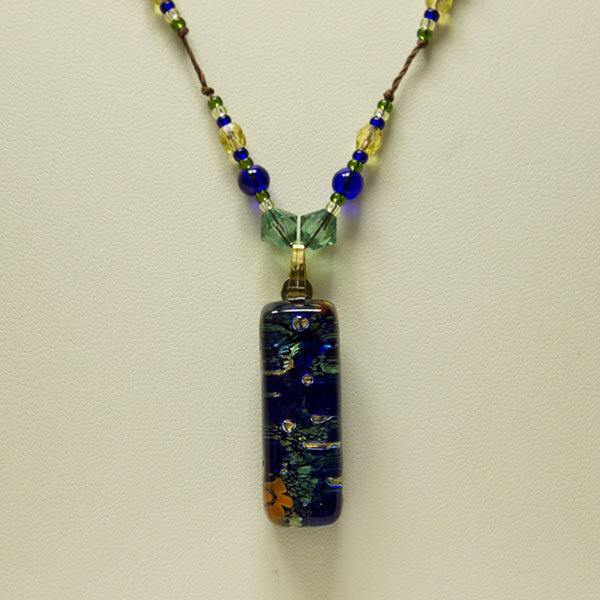 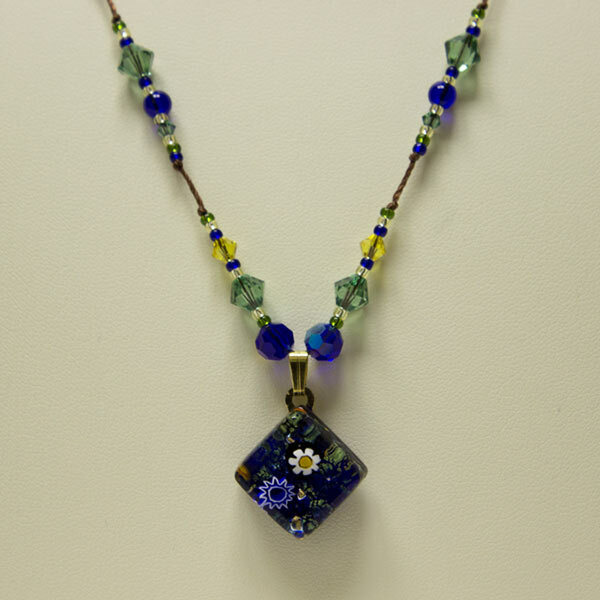 Linda V Jewelry features hand-crafted, one-of-a-kind pieces that include high-quality Swarovski crystals, unique glass beads, Dichroic glass, Venetian Murano glass charms and gemstones that are accented with delicate seed beads. 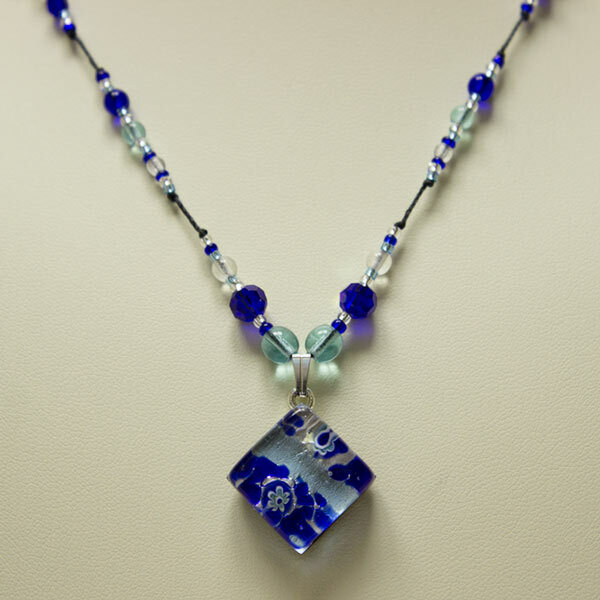 Earrings, bracelets and/or anklets can be made to match any of the necklaces. 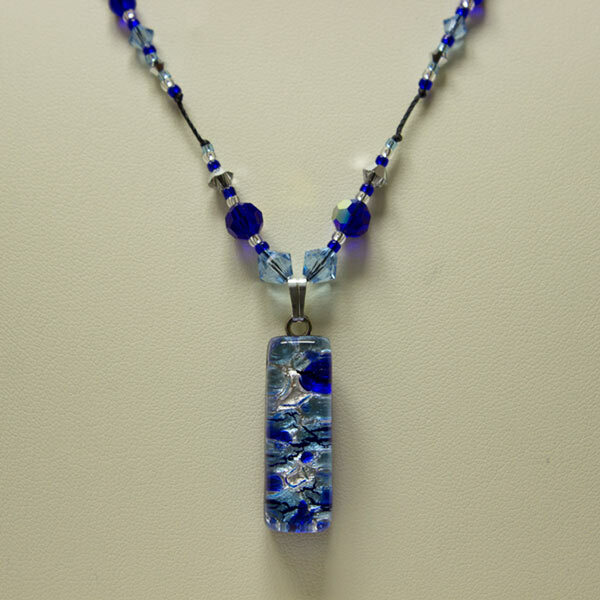 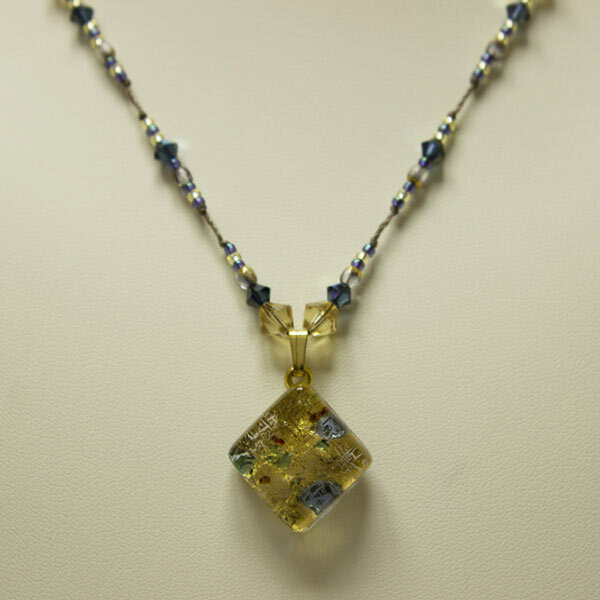 Please click on the Custom Jewelry tab at the top of the page for more information. 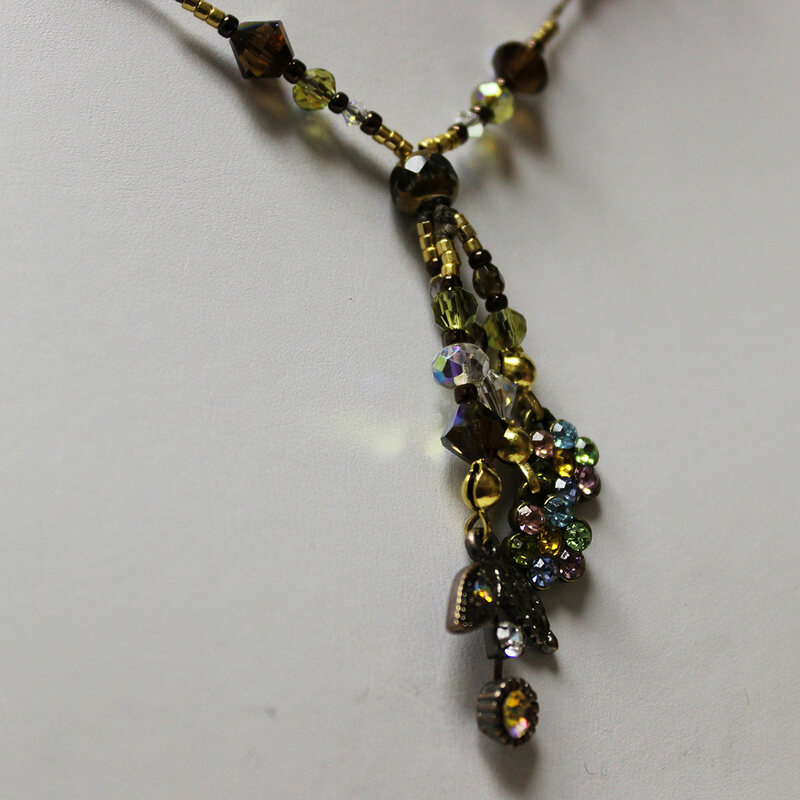 If you are interested in Custom Jewelry for a Prom, Wedding or any other special occasion, contact me via email for more information. 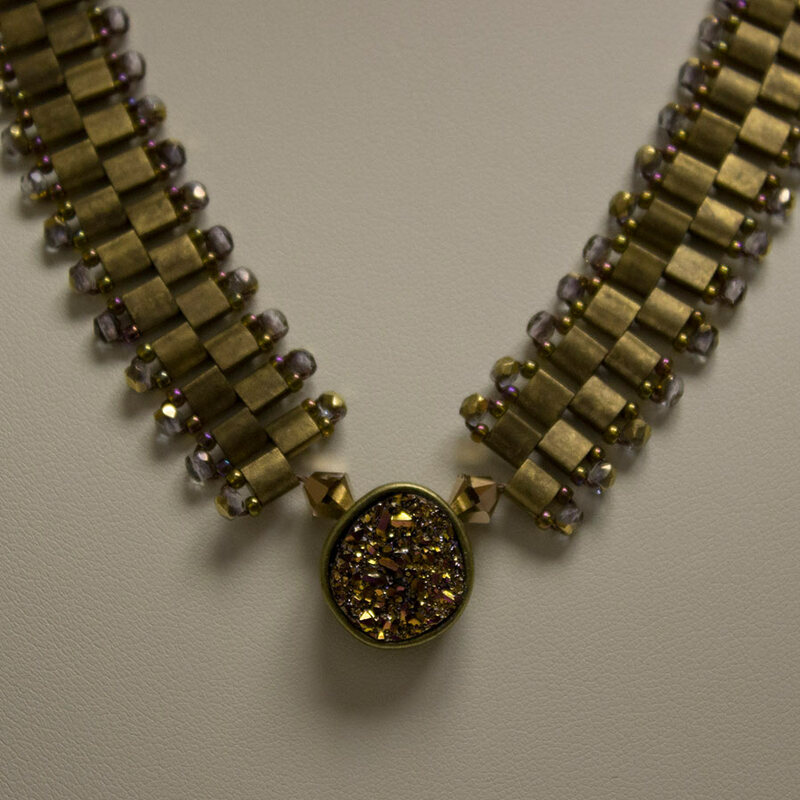 Our featured Tila necklace is highlighted a gorgeous Pyrite “Fool’s Gold” center bead, offset by rose gold Swarovski crystals. 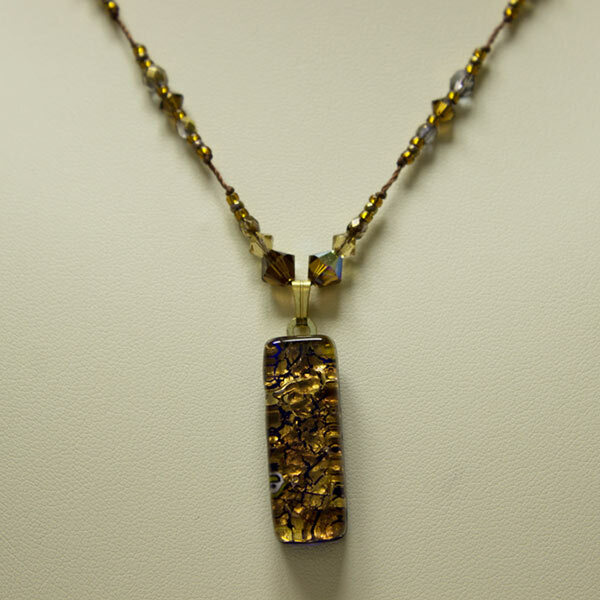 It’s a must see piece! 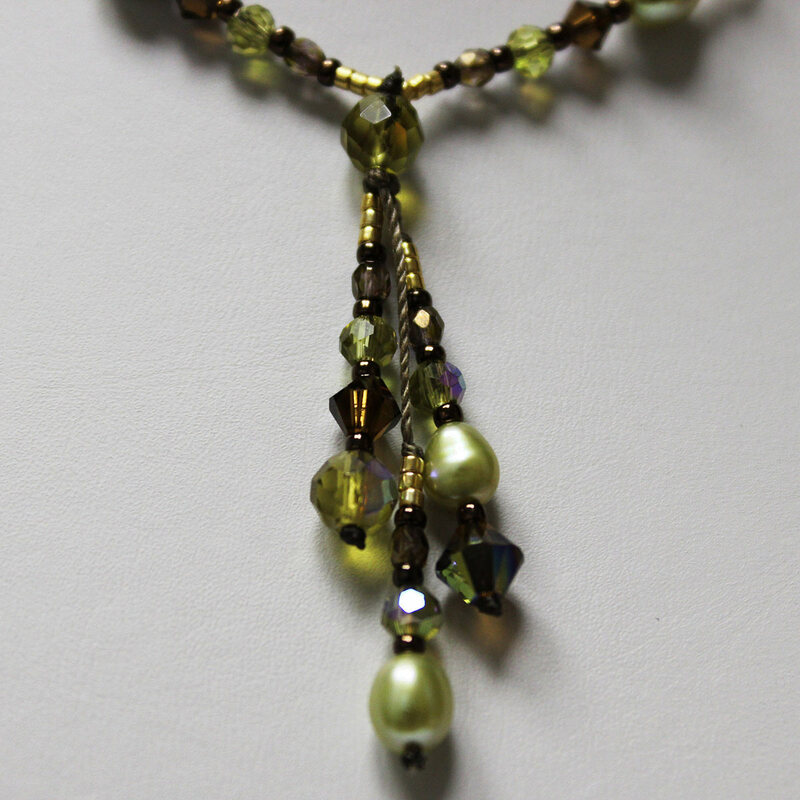 Necklace with 3 drops with mint colored pearls, olivine green, gold and brown crystals with gold accents on light brown twine. 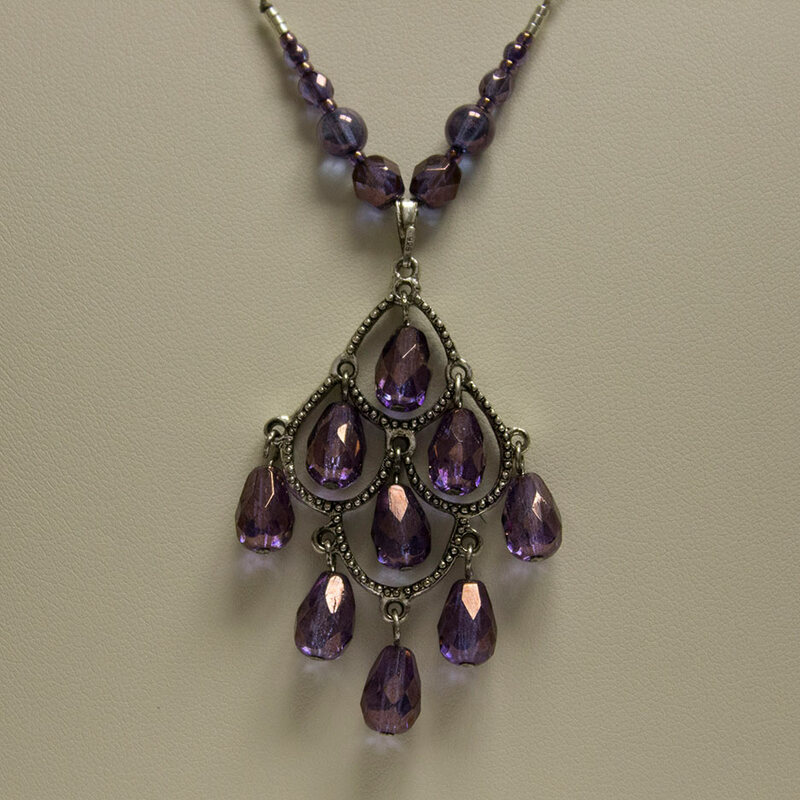 Necklace with a gorgeous purple chandelier center, with varied sizes of gold lustered Czech druk and faceted glass beads with silver accents on dark brown twine. 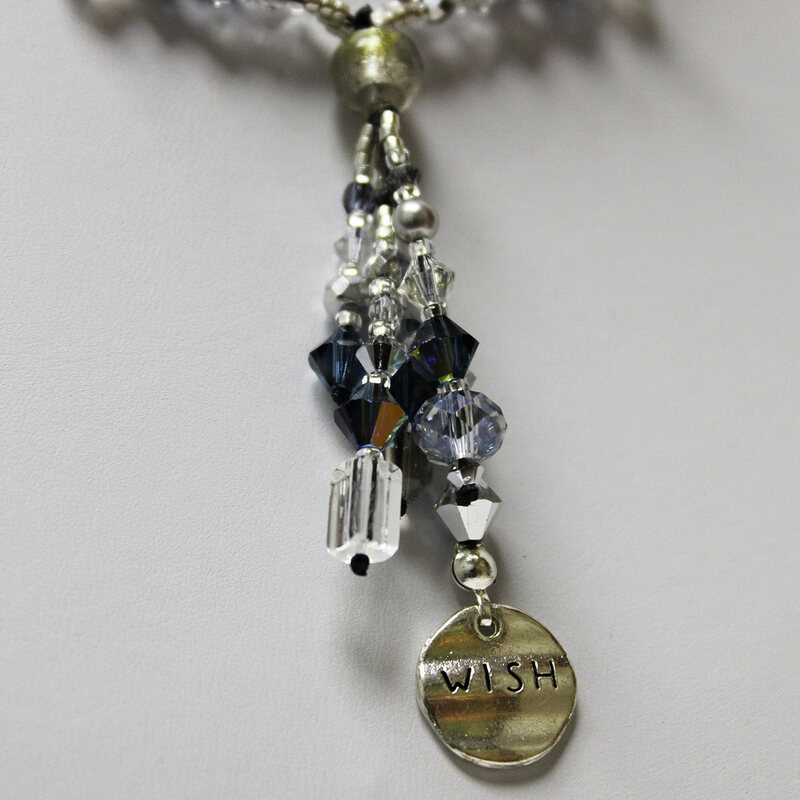 Double strand necklace with 3 drops featuring lampworked beads and a “Wish” charm, with blue-grey, clear and grey crystals with silver accents on black twine. 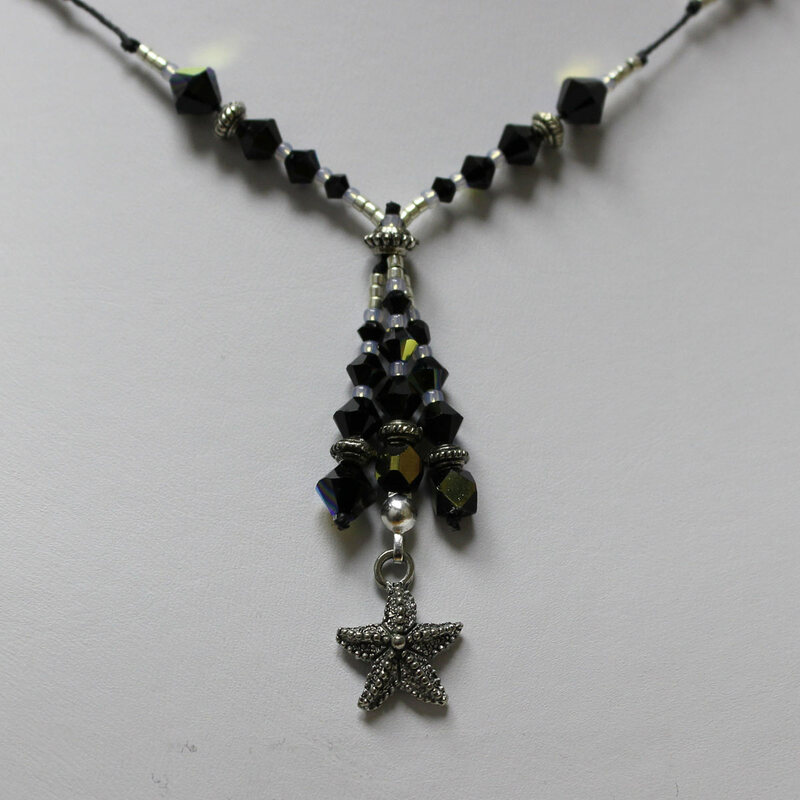 Necklace with 3 drops featuring pewter starfish charm, with black crystals and silver accents on black twine. 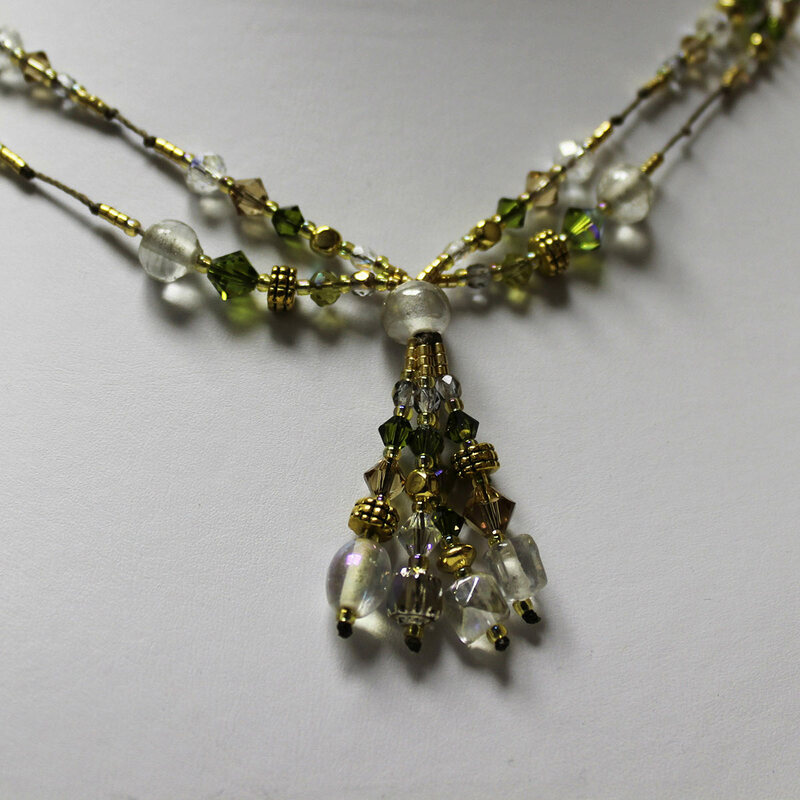 Double strand necklace with clear, lamp-worked center bead with 4 drops, featuring clear and olivine green crystals with gold accents on light brown twine. 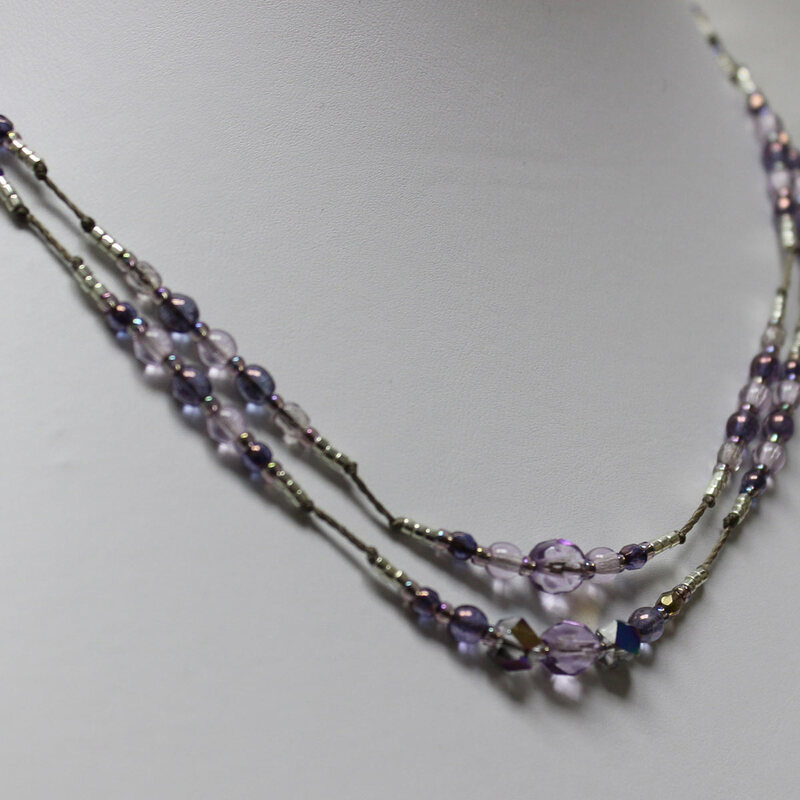 Double strand necklace with different shapes of light purple Czech druk beads with silver accents on dark brown twine. 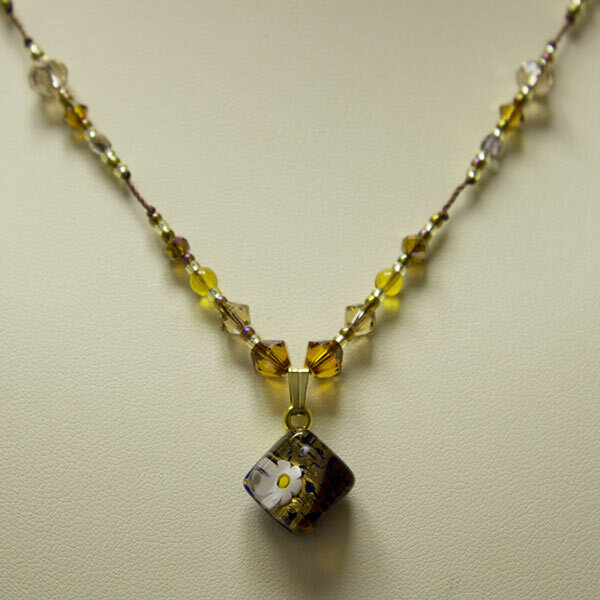 Necklace with clear and bronze cathedral bead center with 3 drops, featuring brown, olivine green and clear crystals with gold accents on light brown twine. 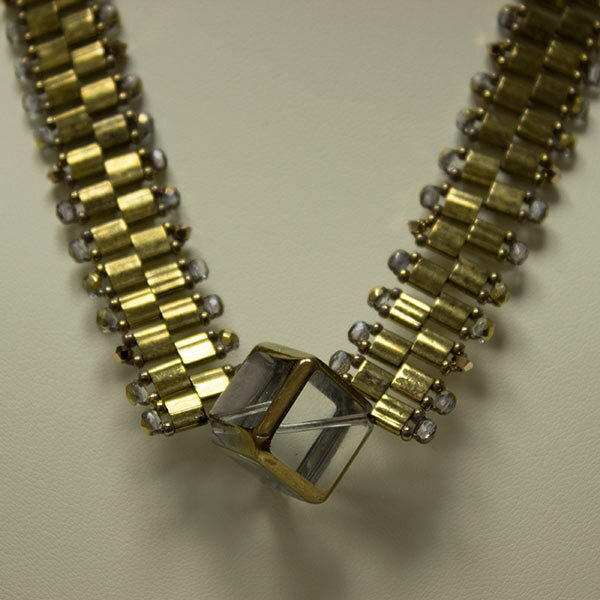 Tila Necklace featuring a striking 3-D Cube of clear glass with gold edging, with metallic bronze Tila glass, clear/gold fire-polish beads and gold lustered dark topaz seed beads. 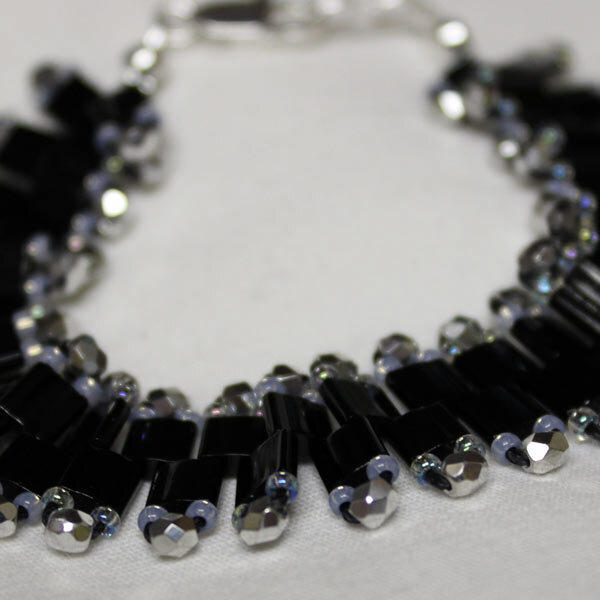 Bracelet with black Tila glass, silver faceted glass and clear grey seed beads with silver clasp. 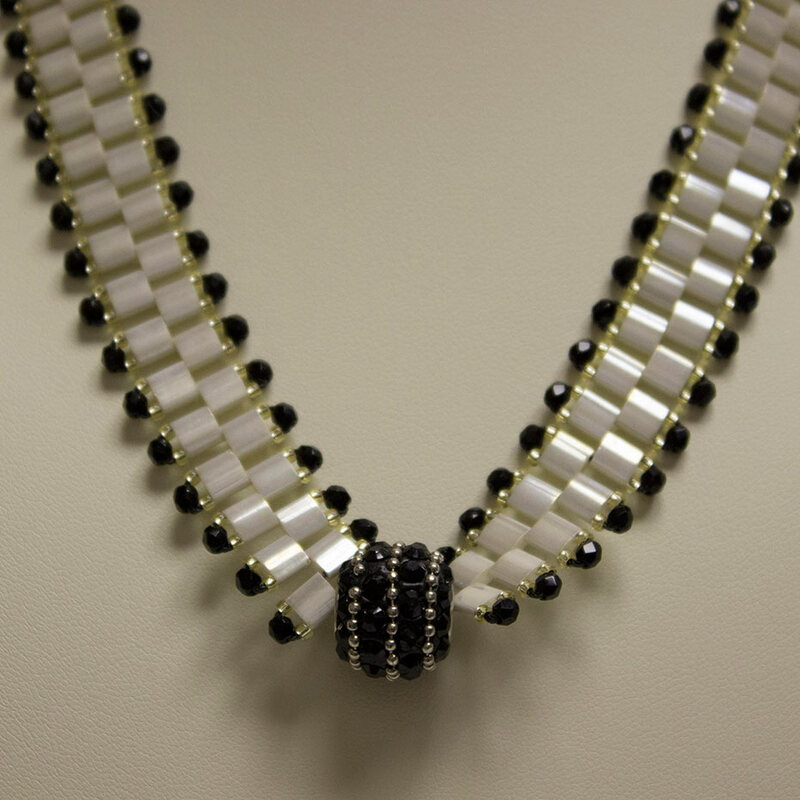 Ivory/Pearl Tila necklace with black fire-polish glass and gold seed beads. 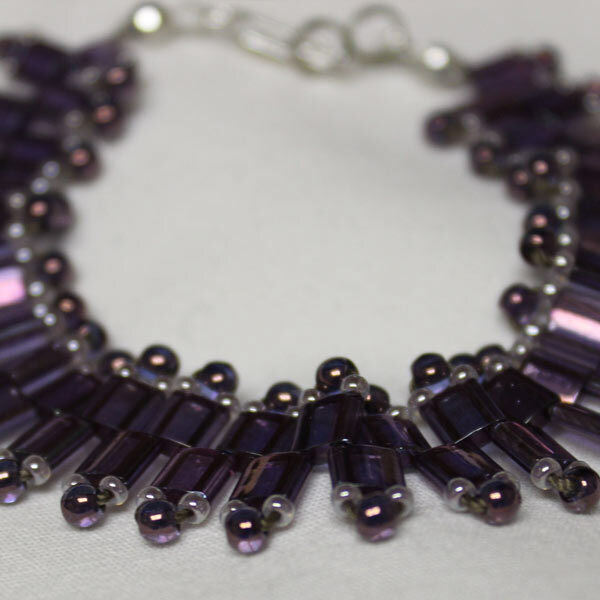 Bracelet with purple luster Tila glass, purple luster Czech glass and light pink seed beads with silver clasp. 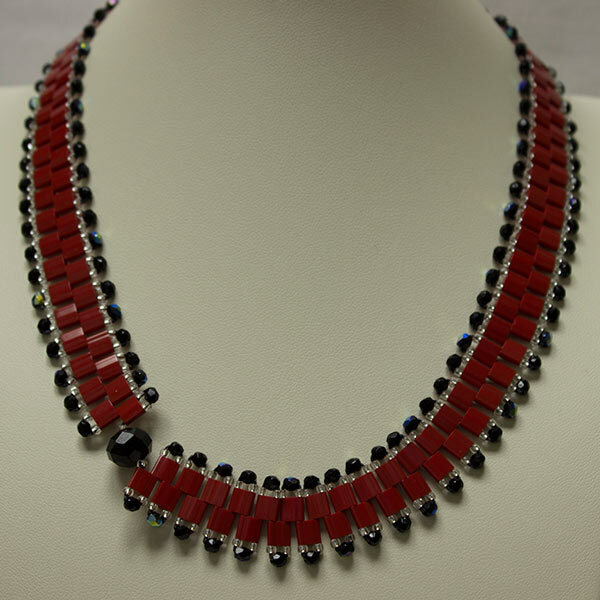 Tila Necklace featuring shiny red Tila glass, black faceted fire-polish glass beads and silver lined clear seed beads, with an offset faceted black rondelle. 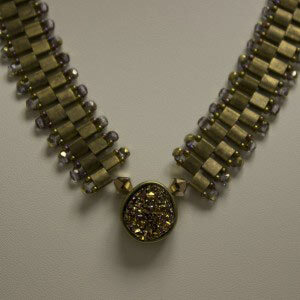 Bracelet with ivory pearl Tila glass, copper luster Czech glass and gold seed beads with gold clasp.